Sameer Verma and OLPC-SF are putting the finishing touches on what’s going to be an amazing community event at SFSU this weekend — an international Community Summit for OLPC hackers, implementers, and researchers from dozens of countries and projects. We’ll kick off with an evening party tonight and then with a full agenda from tomorrow morning through Sunday night. Mike Lee, Andreas Gros, Tim Falconer, Tabitha Roder, Marina Zdobnova and others have been taking part in the Books in Browsers event, so I can confirm that people from a few different countries have already arrived. And we will have some nice surprises for attendees tonight and tomorrow morning… so please join us early! 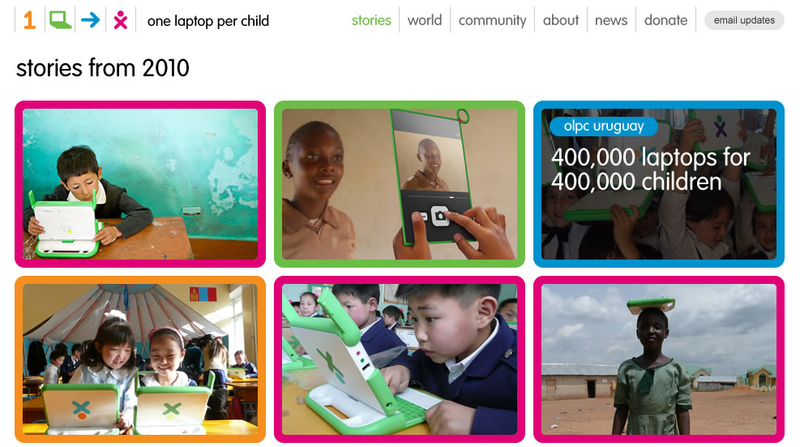 Our design partners have been developing a new design for the OLPC website, one that draws in contributions from our partner and chapter sites around the world. I saw the latest designs this week, and loved them! We’ll have more updates about the site soon, once everyone’s back from the Realness Summit and we’ve heard from Mike Massey, our new photo maven. The biggest change: we’re going to convert the homepage from a big logo to a series of full-screen images from deployments, with background details and links to more information. If you have any amazing photographs or stories you’d like to see featured on our homepage, please post a link to them. 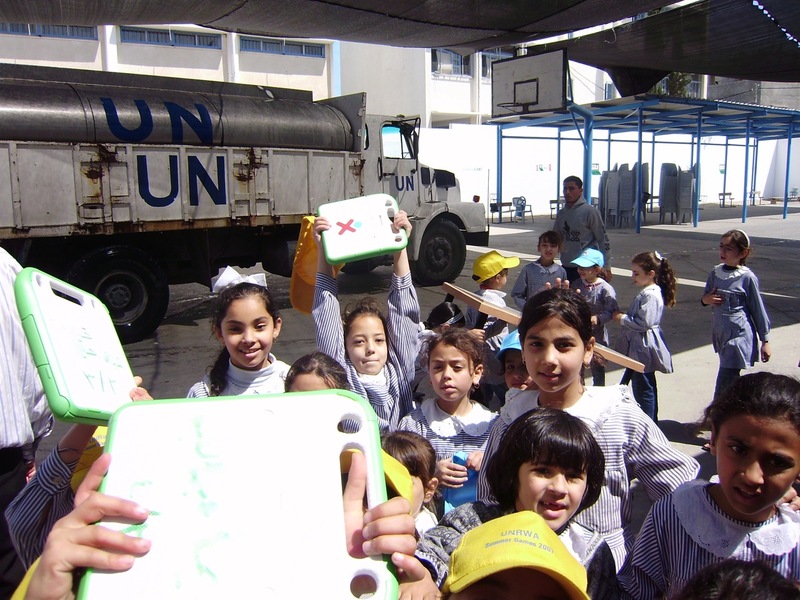 After a 10-month wait for approvals, the UNRWA OLPC core team, administrators, parents and children of Rafah took part in a brilliant beginning to the UNRWA OLPC program in Gaza, with a celebration event on April 29th. I was fortunate to spend the days beforehand with this team and their community. They worked tirelessly – children, parents, teachers, developers, and administrators – and it was inspiring to work with them. The Palestinian people have the optimism, resourcefulness, and dedication to turn a speck of dust into a garden. Not just any garden, but one that the entire community shares. 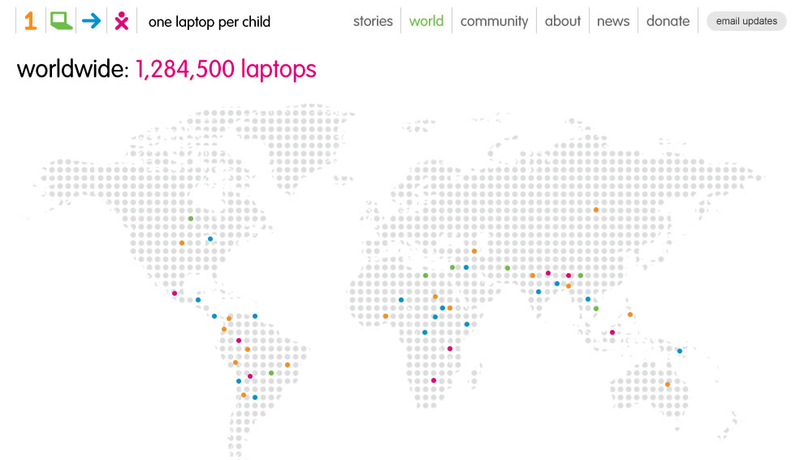 Al momento actual, noviembre de 2008, ya se llevan entregadas a los niños 160.000 XO, todas con LINUX y SUGAR. Creo que más allá de los números, ver las caras y la alegría de los niños da fuerzas para continuar cambiando las cosas, trabajando por una mayor equidad, una mejor educación y profundizar en el uso de las nuevas tecnologías en el aula.